Hello all! One of my favorite green beauties who I read regularly and I have collaborated to bring you a review, Q&A, and giveaway all in one. If you don’t know Nancy from Glossed in Brooklyn (http://glossedinbrooklyn.com/), I definitely recommend checking her out. 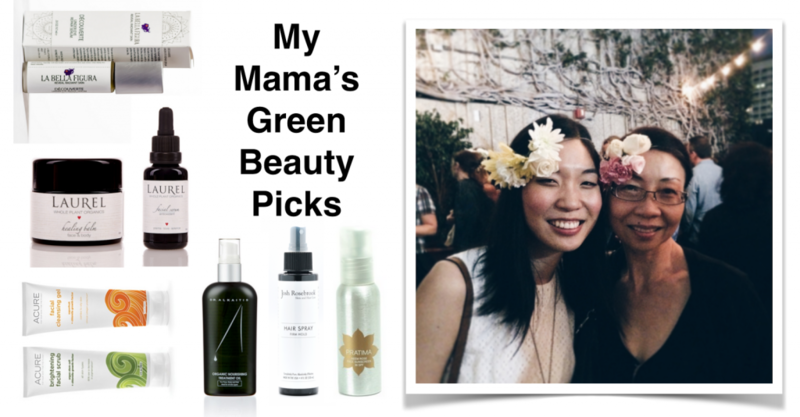 We both share a love for YÜLI Halcyon (my review and her review) and Pratima Neem Rose Sunscreen (my review and her review), and I live vicariously through her when she reviews brands like Sunday Riley, Glossier, Drunk Elephant, and Tatcha. Nancy and I are each reviewing a product and doing a giveaway where one lucky, lucky winner will win both products. In each of our posts, we’re answering four questions to create a mini review of our picks. Check out the Q&A below and then *enter the giveaway* at the end of the post. I had this interesting conversation with the derm-in-training The Green Derm a year ago about how using a hot water + wash cloth to remove an oil “cleanser” is way too much for the skin to take every day. The Elizabeth Dehn for One Love Organics Vitamin B Cleansing Oil (review here) has been my long-standing solution for that uneasy problem (it’s too satisfying to see all of your makeup off your face and onto a cloth, and it feels hopeless trying to rinse off oil with water because of course they don’t mix)–it removes makeup and washes off with water. Easy, done. Despite going through many (loved) bottles of the aforementioned, I could not help be tempted by the recently launched (couple months old now) Tata Harper Nourishing Oil Cleanser. I held off for months with the intention of finishing my current cleansers. When I pumped off the last bit of my favorite YÜLI Halcyon Cleanser (review here), paired with unhappy skin due to a myriad of reasons (exams/projects/hormones/dessert), the hypothesis of “I’m putting my skin under too much stress with my daily hot cloth routine!”, and the desire to try something new (oh, and NMDL deal with Citrine Beauty didn’t hurt), I jumped for the Nourishing Oil Cleanser. From the description of the cleanser on the Tata Harper website along with the ingredients list, I had the impression that the cleanser could rinse off with water as well, and I intended to rotate it with my de Mamiel cleansing balm (review here) + tepid water + wash cloth routine to put less stress on my face as my makeup remover/first cleanse at night. In comparison to what I remember from the ED4OLO Cleansing Oil, this oil seemed much harder to rinse off with water when used for makeup removal, slash it seemed to take longer to rinse off until I didn’t suspect I had much of the oil left on my face because it really does leave the face feeling nourished and soft. In my impatience, I sometimes used tepid water + wash cloth to remove the oil, which defeated my purpose of purchasing the oil. Alternatively I’ve also used a konjac sponge to remove the oil (favorite way of removing the ED4OLO Cleanser), or just resorted to rinsing off the cleanser in the shower (using the water pressure as my friend). I then reviewed the directions for the cleanser and snooped more around the Tata Harper blog. A re-reading of “The Double Cleansing Method, Explained!” revealed the routine of starting with wet hands and a dry face, spreading the cleanser all over, waiting several seconds, emulsifying the formula by splashing water onto the face and massaging, and then rinsing. Wet hands made rinsing off minutely faster, massaging the cleanser while emulsifying it instead of jumping straight into the rinse-off also made rinsing off minutely faster (and satisfying to see the gently “foaming” emulsion–see above photo). Of course, when not used for makeup removal but for a second cleanse post-makeup removal, the cleanser rinses off fairly easily since it does not have sunscreen and makeup in the way. I am not wild about the scent, which comes off as mostly citrus to me, but using this twice in the evening and once in the morning has been very agreeable with my skin. Any makeup is easily massaged away, and as a second rinse, no film is left–just soft skin. Along with the Nourishing Oil Cleanser, at the time I actually ended up purchasing two other cleansers (if you saw in my recent haul video)–freaking out as I was about my skin and eager to try all the new things, so I did until common sense kicked in and I resorted to picking one cleanser and sticking with it, i.e. the Nourishing Oil Cleanser. 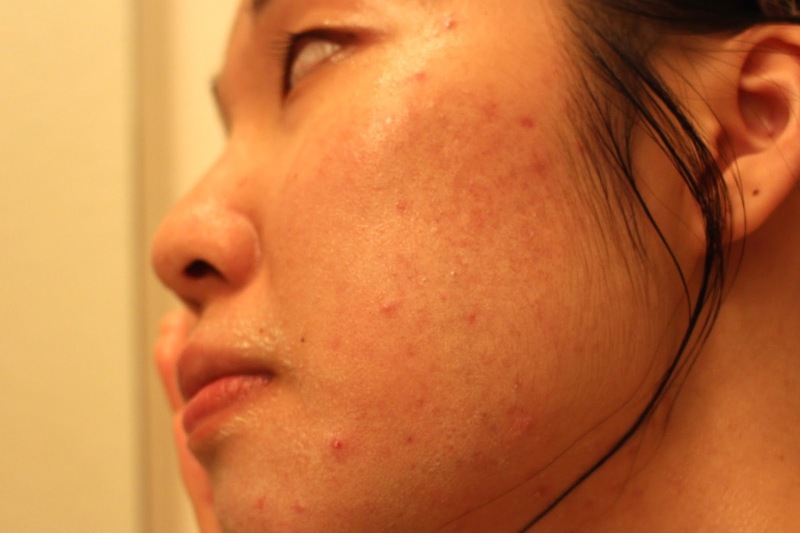 The arrival of that time of the month marked the pinnacle of that bad skin bout, and this cleanser did nothing more to exacerbate the spots I had as my skin calmed down. If anything, it encouraged my skin along its healing path. While there are those being of the opinion that one shouldn’t splurge for cleansers since you wash them off anyways and probably a large subset of that group who think that this cleanser is a bit exorbitant, I initially thought this cleanser was a great deal. The size, 4 oz, for $64 is quite on par with other cleansers I have enjoyed (in comparison, YÜLI Halcyon is 3.4 oz for $52 and Dr. Alkaitis is 4 oz for $56). The price is fine, however, the recommended usage is what makes the cleanser feel pricy. I typically used the suggested two pumps for morning cleanse/2nd cleanse and three to five pumps to remove makeup. Add that all up, and I neared the end of the cleanser after about a month. That is alarming. Given, five pumps is very generous and whenever I put my palms together in preparation for massaging my face, I lost a little to the carpet (for science!). While I love using a generous portion of the cleanser to cleanse my face–the more oil (to a point) you have, the easier it is to massage–you probably can get away with an average of 2 pumps per cleanse. 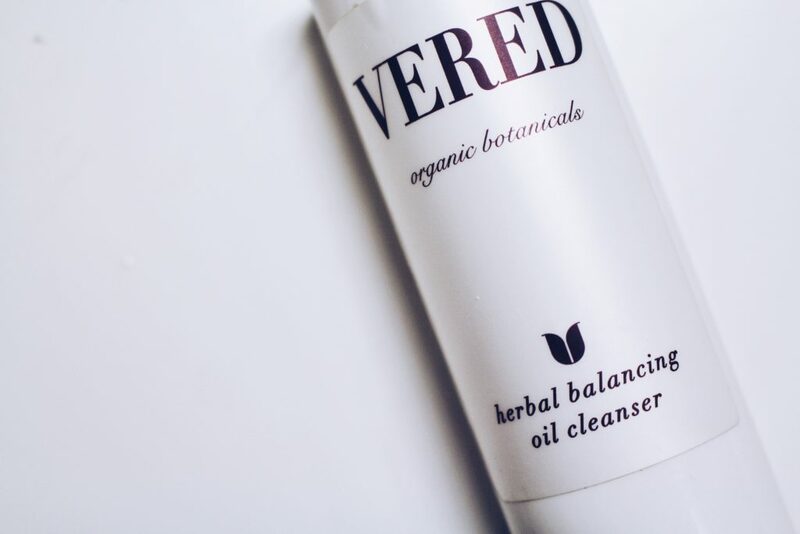 Great performance and happy skin aside, a look at the ingredients list will easily tell you why Caroline Hirons places this cleanser not on the makeup removing list, but the second cleanse list. Rosa Canina seed oil, at the very top of the list, is fancy for rosehip oil, which as you may know, is a whole well-lauded product from Pai Skincare all unto itself as a greener source of vitamin A (anti-aging, helps heal scarring). Sacha Inchi, also known as the Inca peanut, has about the same level of omega-3 fatty acids as flax and twice the level of omega-6 (basically mega awesome for the skin in terms of healing, guarding against the sun, strengthens the skin’s barrier, etc.). Camellia Oleifera seed oil’s fatty acid content is similar to olive oil–it is massively high (~80%) in oleic acid. 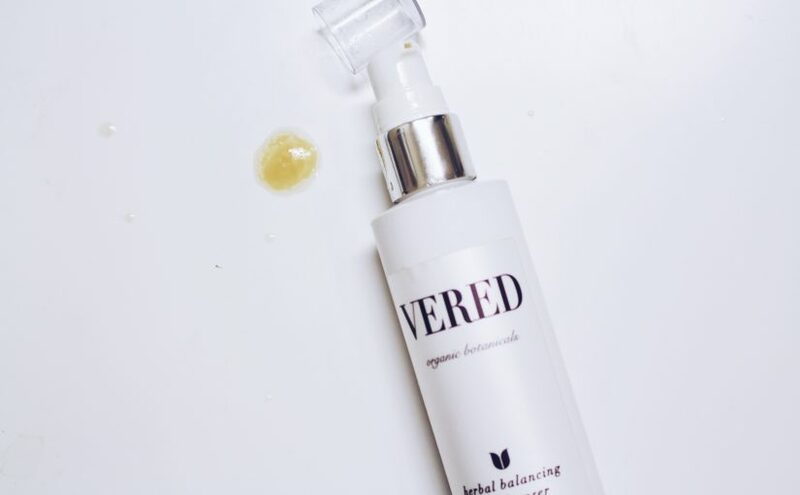 Oleic acid has been getting a bad rap for being a non-ideal oil for acneic types (*raises hand)–in high levels, it has been demonstrated to disrupt the skin barrier and hurry along TEWL (transepidermic water loss). But here’s another point of view: camellia oleifera has been shown to be able to penetrate the skin and decrease barrier resistance, making way for other things (the study was for drugs, but here it is probably beautiful extracts and nourishment). The secret to rinsing oil off with water–a seemingly impossible feat–is this combination of emulsifying agents: Shea Butter Ethyl Ester and Polyglyceryl-4 Oleate. These two allow the oils to mix with water, and thus rinse off. Bonus: they’re also emollients that soften the skin. Besides the fact that this oil cleanser can wash off with water, eliminating the use of a wash cloth (a timesaver when exhausted), the medley of extracts drew me in. Alfalfa, arnica, calendula, comfrey, borage, elderberry (Sambucus Nigra), meadowsweet–kind of beautiful, right? The common themes linking them together are their potential anti-inflammatory and antioxidant properties. 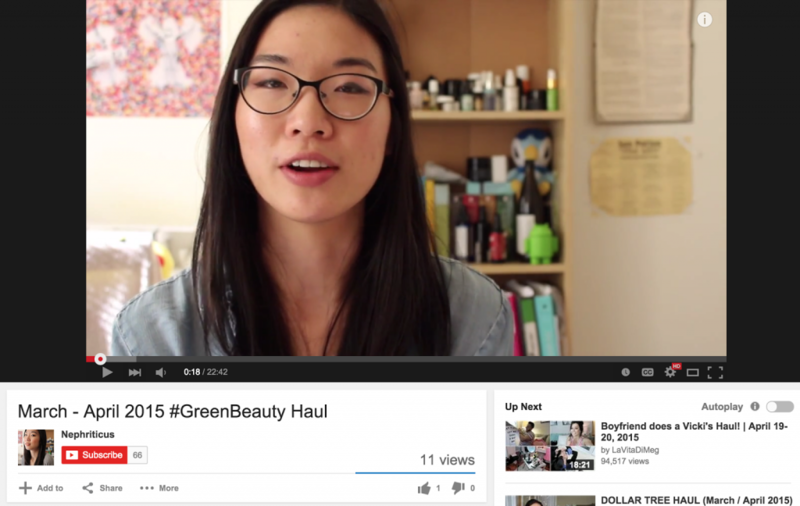 tl;dr Sort of the more expensive dupe for the ED4OLO oil cleanser that is slightly harder to wash off. However, just as happy skin due to luscious oils and extracts–if purchase again, probably would reserve for second cleanse. Have you used this cleanser? What are your thoughts? If not, what’s your favorite cleanser these days? Note: By hot water, I mean tepid/warm water before anyone starts yelling broken capillaries. Disclaimer: I purchased this product myself from Citrine Beauty. All thoughts and opinions are my own. I am not being compensated for my words. Adorjan, Barbara, and Gerhard Buchbauer. “Biological Properties of Essential Oils: An Updated Review.” Flavour Fragr. J. Flavour and Fragrance Journal 25.6 (2010): 407-26. Web. Feás, Xesús, et al. “Triacylglyceride, Antioxidant And Antimicrobial Features Of Virgin Camellia Oleifera, C. Reticulata And C. Sasanqua Oils.” Molecules (Basel, Switzerland) 18.4 (2013): 4573-4587. MEDLINE. Web. 9 June 2015. Mack Correa, Mary Catherine, et al. “Molecular Interactions Of Plant Oil Components With Stratum Corneum Lipids Correlate With Clinical Measures Of Skin Barrier Function.” Experimental Dermatology 23.1 (2014): 39-44. Academic Search Complete. Web. 9 June 2015. Maurer, Natalie E., Beatriz Hatta-Sakoda, Gloria Pascual-Chagman, and Luis E. Rodriguez-Saona. “Characterization and Authentication of a Novel Vegetable Source of Omega-3 Fatty Acids, Sacha Inchi (Plukenetia Volubilis L.) Oil.” Food Chemistry 134.2 (2012): 1173-180. Web. Mccusker, Meagen M., and Jane M. Grant-Kels. “Healing Fats of the Skin: The Structural and Immunologic Roles of the ω-6 and ω-3 Fatty Acids.” Clinics in Dermatology 28.4 (2010): 440-51. Web. Two absolutely necessary staples of my life are rice and a good cuppa green tea. A close third, since going green, is a good cleansing oil. 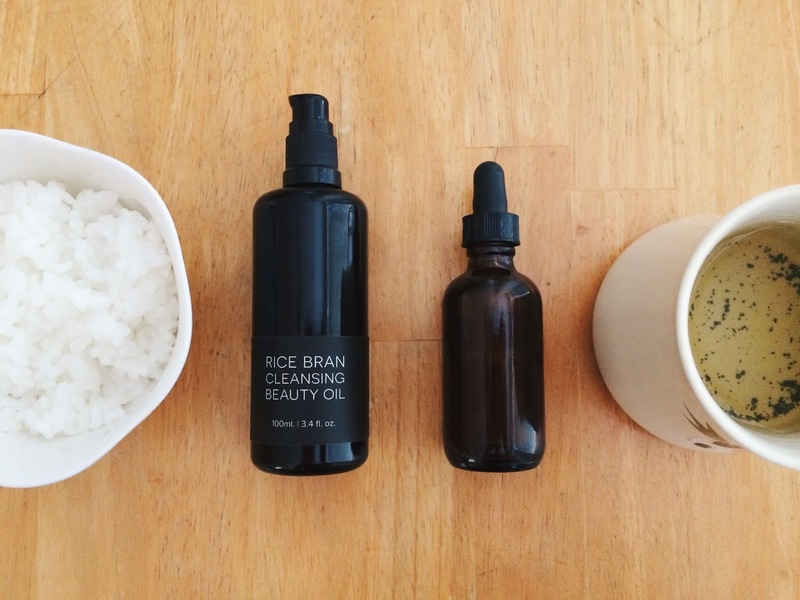 Recently fulfilling that role is Organic Bath’s newly released Rice Bran Cleansing Beauty Oil. My history with cleansing oils ranges from the very simple one-ingredient oils to my favorite Elizabeth Dehn for One Love Organics Cleansing Oil. I’ve used coconut oil (skin did not like), jojoba oil (skin liked), and sweet almond oil (skin liked) which were all great at removing makeup when paired with a warm, damp muslin cloth. I repurchased jojoba oil and sweet almond oil multiple times because they were simple yet effective–they each have moisturizing benefits, easily remove makeup, and got along with my skin. I’ve also repurchased the ED4OLO oil at least four or five times by now (and that’s not even including my sister, who’s also hooked). It’s got more frills than jojoba or sweet almond (maybe even throw in a tutu skirt)–having a tropical pineapple scent and the ability to be washed off by water–no cloth needed. 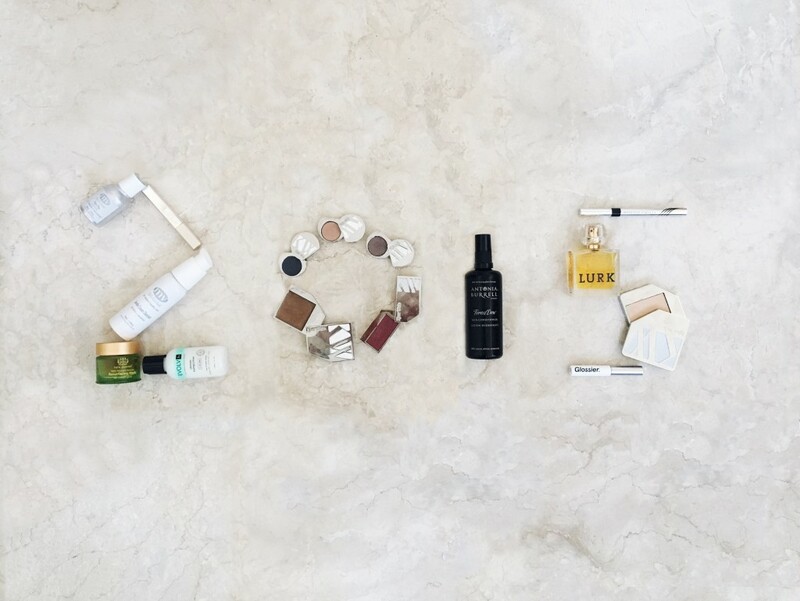 The Rice Bran Cleansing Beauty Oil stands somewhere in the middle. You’ll need a washcloth to gently massage off the oil and grime, but it’s definitely fancier than your average jojoba or sweet almond oil. When I first saw the ingredients list, I zoomed in on the manuka essential oil and the sweet orange essential oil. Manuka essential oil has super strong antimicrobial effects–studies have been done on its antimicrobial activity against staph (excellent, by the way) and various oral bacteria (manuka was the strongest out of tea tree, eucalyptus, lavender, and rosemary). Sweet orange essential oil has also been proven in studies to not only have strong antimicrobial effects against microorganisms , but also to potentially have an anxiety-reducing effect when smelled. It also happens to be anti-inflammatory. For someone who thinks about acne on a daily basis like me, this is poetry. But to be honest, as Gianne told me, the inspiration for this oil was Asian culture. She loves their usage of rice bran oil and camellia seed oil, which were the second things I zoomed in on. Grapeseed and sweet almond oil are typically recommended as single-ingredient oil cleansers or makeup removers, and they have their own perks (antioxidants, moisturizing), but camellia seed oil and rice bran oil are pretty special. Camellia seed oil, or green tea seed oil, has good whitening and antioxidation, anti-permeability, anti-inflammatory, analgesic and anticancer properties thanks to high levels of catechin, polyphenols, saponin and squalene. Rice bran oil also contains squalene, fatty acids, and antioxidants which means hydration, protection from free radical damage, and encouragement for the skin to naturally regenerate itself. On nights where I’m exhausted, I’ve been flying for a day, or I can’t be bothered to use a washcloth and wash my face and the washcloth afterwards, I will still reach for the ED4OLO oil because it is quick, convenient, and my face still loves it. But on other nights when I’m ready to give my face some loving, or something is getting ready to erupt on my face, I reach for this one and give my face a good 5-minute lymphatic massage, Into the Gloss style. The ingredients are lovely, and by lovely I mean a great combination of moisturizing + anti-acne, and I want them to spend a little longer time on my face before I wipe them off with a damp cloth. I seriously love that she wants each scent to have a purpose–that’s one of the things that I love about green beauty–how scents are seen not only as something nice for the nose, but also something purposeful for the skin and body. Before final packaging, I was using maybe a generous 70% full dropper to massage the day from my face, and now with the pump, the equivalent is about 5-6 pumps, which sounds like a lot, but the pumps are a little miserly and it is worth it. Paired with gentle hands, the oil glides smoothly over the face without sinking in too early (so no tugging on the face) and easily takes off all of my makeup. I took a break from my foundations with coconut oil at about the same time I switched to this, and the combination has left my skin really, really happy (sorry rms and Kjaer Weis–more on this later). When I came home for summer break three weeks ago, upon reuniting with friends and family, one of the first things many have said has been, “Your skin looks so much clearer!” (*beams and rainbow eyes) Granted, nothing stopped my hormonal visitors (also it was around my sister’s birthday and ice cream was involved), but they were fewer and less severe than they usually are. tl;dr Beautiful balance of moisturizing + anti-acne ingredients with a purposeful, anti-inflammatory, citrusy scent. Washcloth needed. 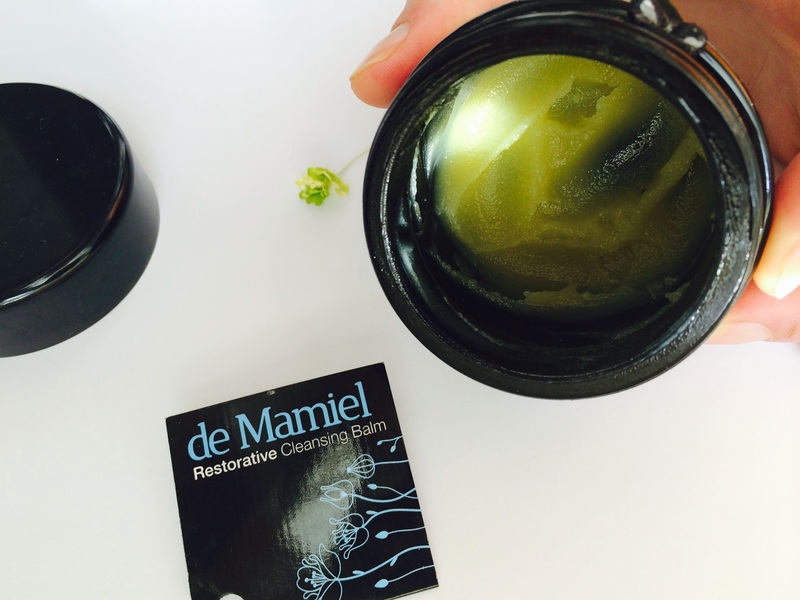 Helps bring out happy skin. Great when paired with massage. What is your current fave for removing makeup? Think you’ll be trying out the new kid oil on the block? And for fun, do you try to sneak friends and family onto green beauty via scents that aren’t too earthy crunchy? Ingredients: Organic Oryza sativa (Rice Bran) Oil, Organic Camellia oleifera (Camellia Seed) Oil, Organic Vitis vinifera (Grapeseed) Oil, Organic Prunus dulcis (Sweet Almond) Oil, Organic Manuka Essential Oil, Organic (Sweet Orange) Essential Oil. Disclaimer: Gianne from Organic Bath kindly sent this product to me five weeks ago in the last week of April and I have been using it every night since minus maybe 3-4 nights. Quote taken in its unadulterated form from our email correspondence with her permission. I am not being compensated in any way for my words. All thoughts and opinions are my own. Feás, Xesús, et al. “Triacylglyceride, Antioxidant And Antimicrobial Features Of Virgin Camellia Oleifera, C. Reticulata And C. Sasanqua Oils.” Molecules 18.4 (2013): 4573-4587. Academic Search Complete. Web. 7 June 2014. Goes, Tiago, Costa, et al. “Effect Of Sweet Orange Aroma On Experimental Anxiety In Humans.” Journal Of Alternative & Complementary Medicine 18.8 (2012): 798-804. CINAHL Plus with Full Text. Web. 4 June 2014. Neng-guo, Tao, Liu Yue-jin, and Zhang Miao-ling. “Chemical Composition And Antimicrobial Activities Of Essential Oil From The Peel Of Bingtang Sweet Orange ( Citrus Sinensis Osbeck).” International Journal Of Food Science & Technology 44.7 (2009): 1281-1285. Academic Search Complete. Web. 4 June 2014. Song, Chi-Youn, Eui-Hwa Nam, Seol-Hee Park, and Cheol-Yong Hwang. “In Vitro Efficacy of the Essential Oil from Leptospermum Scoparium (manuka) on Antimicrobial Susceptibility and Biofilm Formation in Staphylococcus Pseudintermedius Isolates from Dogs.” Veterinary Dermatology 24.4 (2013): 404-E87. Web. Takarada, K., R. Kimizuka, N. Takahashi, K. Honma, K. Okuda, and T. Kato. “A Comparison of the Antibacterial Efficacies of Essential Oils against Oral Pathogens.” Oral Microbiology and Immunology 19.1 (2004): 61-64. Web. I’m sure many of you know R.L. Linden & Co. for their lovely La Balmba Rosa Healing Rose Balm (delightfully light and good-smelling moisture for the lips) and the Thousand Petal Beautifying Mist (garden of flowers for your face). Excitingly, the minis of their Travel Set (available since winter 2013-ish I think) are soon to be available for purchase in full sizes. I will save a full review for when I get my hands on some of the full-sizes, but I thought I would at least share some quick thoughts on several of the newbies based off of my sample sizes and a short Q&A with which the founders of R.L. Linden & Co. kindly indulged me. If you already like cleansing with honey (and if you haven’t tried, highly recommend), if you like chocolate, and if you don’t like harsh exfoliants, I think you will enjoy The Bee Charmer. It’s like chocolate honey but with a thinner consistency and with a delightful kick: gently exfoliating poppy seeds. It can also be used as a mask, but I saved it as a second cleanse after removing my makeup. What’s great is that it has the anti-bad properties of the honey combined with the antioxidants of chocolate. Think you know jojoba oil? Think again with Time After Time. My small sample lasted a week, and every night after application, my face was instantly so smooth and nourished thanks to a super-infused jojoba oil combined with meadowfoam seed oil, rosehip seed oil, squalene (from olives), and tamanu oil (a healing killer punch for the long-term). The scent is also really calming and non-offensive. This is probably the first product I want to purchase in full-size, followed by The Bee Charmer. 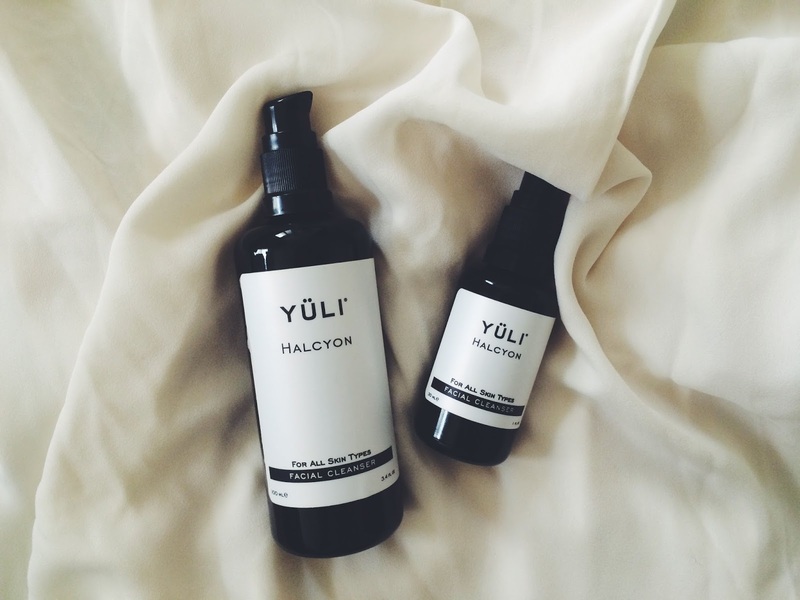 Their Ironwood Perfume isn’t a new launch, but yo, Palo Santo is a hot scent. To me, it’s like perfect mix of spicy and sweet that works equally well in the blizzardy winter as well as on the sweltering beach. I had a couple of questions mostly regarding ingredient choices in the new releases that Robin and Lynn were so kind to answer for me. I hope they are helpful for you! 1. The poppy seeds in the Bee Charmer are a delight and unique touch—exfoliants like walnut shells are much more common (but also criticized for potentially causing micro-tears in the skin), but I’ve never come across a brand incorporating poppy seeds before. What inspired this choice and how does the skin benefit from this? The idea was to lightly and gently exfoliate; poppy seeds are a great choice for that purpose. Their round shape is ideal because they roll over the skin effortlessly while encouraging product to spread evenly over the face. 2. Love eating honey, love eating chocolate, and love that you included both in the Bee Charmer. There’s lots of literature on how ingesting sugar can cause inflammation in the body and thus acne, and I’ve recently read in a couple places that it can be potentially dangerous to apply sugary products to the face as it can be bad for acne (luckily, my skin has only been having happy days since using Bee Charmer, so I’m not good proof of this idea). What are your thoughts on this and how can chocolate be good for the face? It is first good to note that we recognize that every person’s skin has its own preferences. So, its important to pay attention and know what makes yours happy versus what makes it freak out. It is also worth noting that not all chocolate is created equal. The chocolate that we use is absolutely artisan crafted with minimal processing and only two ingredients – Organic Cacao and Organic Cane Sugar. We know and love the makers, Robbie and Anna of Ritual Chocolate, and we know that the love that they have for their craft translates to us when we use It in ours. In The Bee Charmer, the use of chocolate leaves the skin feeling nourished, conditioned and really soft due to the theobromine content of the cacao and the naturally occurring cocoa butter. The theobrimine acts as a vasodilator, which means that it opens up blood vessels and encourages fresh new blood flow. The sugar content of both the honey and the chocolate offer wonderful humectant qualities, retaining the skin’s moisture and act as a pre-biotic to encourage a healthy balance of surface microbes. 3. I fell hard for Time After Time and I wasn’t expecting to. I thought I knew jojoba oil, but the blend in the jojoba (calendula, comfrey, marshmallow, licorice, elderflower, linden flower, rose petals) along with the accompanying oils and essential oils (meadow foam, rose hip, olive squalene, tamanu, frankincense, helichrysm, fir) is just beautiful. Instant face softener. How did you come up with this amazing combination? Thank you – we are so grateful to know that it has had such a positive effect for you. This blend, like all others that we create, has come from lots of time and trial and error. We have a hard time NOT infusing oils; there are just so many incredible healing herbs to use! The addition of these plants absolutely adds to the efficacy of this serum. 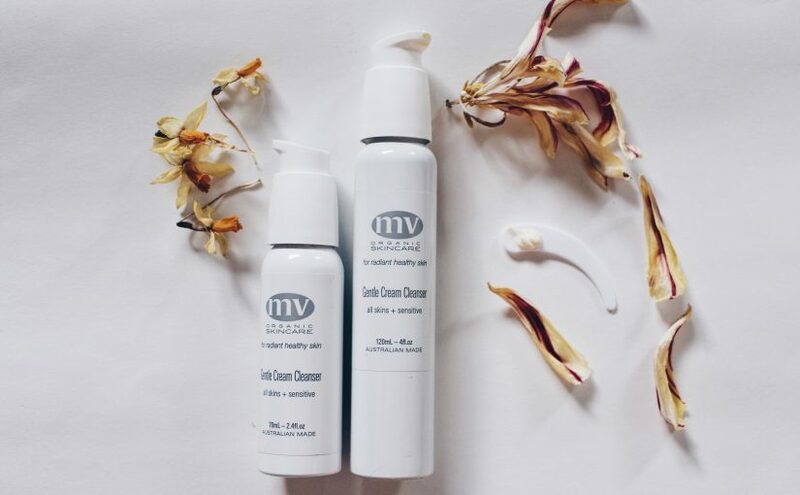 We felt very strongly about using meadowfoam for its highly nourishing and moisturizing content and rosehip for its antioxidant and vitamin C properties. Each oil was chosen for its specific therapeutic benefits. And the essential oil blend is not the usual floral notes, but after two or three uses, people get hooked! 4. Your Eyes Only was another unexpected love. I didn’t realize my need for it until I ran out and noticed the panda eyes that my balm cleanser constantly left behind (even after removing a full face of makeup well). I’m a little paranoid about coconut oil on my whole face so I reserve use only to my eyes, which unfortunately can’t smell the vanilla. I’ve used coconut oil and jojoba oil respectively to remove eye makeup, and they both do a good job—great idea to put them together! But what does the essential oil of bourbon vanilla do? This is one product that is definitely a silent hero. To address your concern about the coconut oil, it is such an amazing oil for so many skin types. For some, however, it doesn’t work. In those people, it is most likely the high lauric acid content that is irritating. We use fractionated coconut oil in this formulation, which has most, if not all, of the lauric acid removed. Not to mention, its liquid at room temperature, so it’s much easier to apply than the solid stuff. Jojoba oil is great because it helps to moisturize the delicate skin around the eyes. We wanted to include a faint scent and vanilla is so warm and comforting, that’s the kind of nourishing one needs when dealing with a sensitive area. 5. Any hints for a release date for these lovelies? I can’t wait to see them in full-size! Are you as excited as I am? Which do you think you’ll purchase first (if not all of them)? 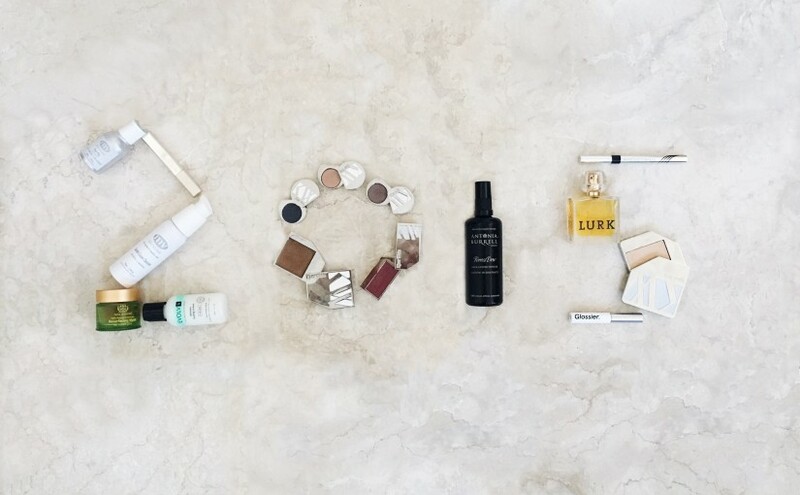 Ingredients: See the Travel Set for a list of the ingredients for the spring releases. Disclaimer: I formatted the answers (deleted spaces, underlined products), but otherwise they are here in unadulterated form. 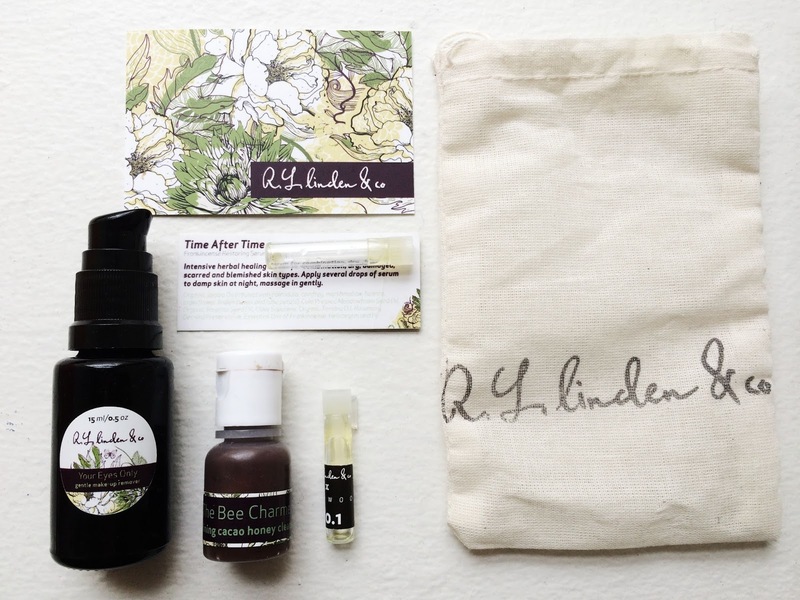 I purchased Your Eyes Only (along with a repurchase of the Thousand Petal mist) from lindenbeauty.com but was generously provided with samples of The Bee Charmer, Time After Time, and the Ironwood perfume. All the same, all thoughts and opinions are my own.